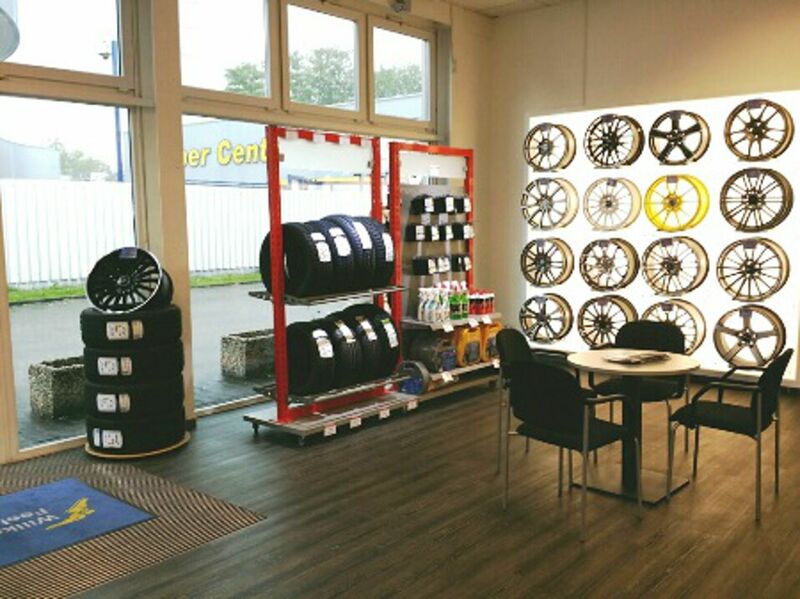 Tyre trade is our passion – we have been there for you at our reifen.com branch at Gladbecker Straße in the district Altenessen since 2002. 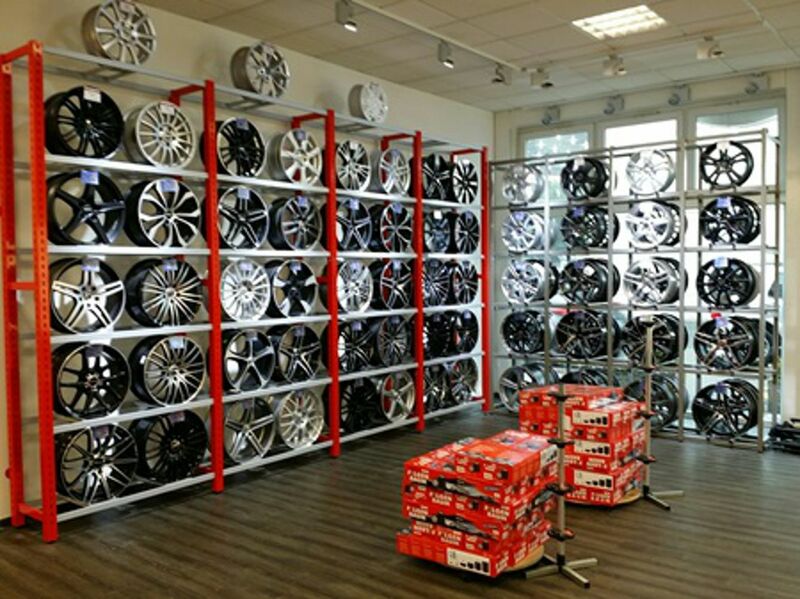 You can acquire tyres, rims and accessories on a sales area of 135 square meters and make use of a wide service offer around the topic tyres. Our friendly sales staff is there for you in case of questions at all times. When you visit our tyre service in Essen, four employed fitters undertake numerous tasks. Next to selling winter tyres and summer tyres as well as new aluminium rims, we also offer a wide tyre service. This is mainly made on three lifting platforms as well as on a platform for axle alignment. Every Thursday a TÜV (German MOT) auditor comes to our site and is happy to register changes on your vehicle. Please keep in mind that services of the TÜV only apply to new entries like springs or rims. 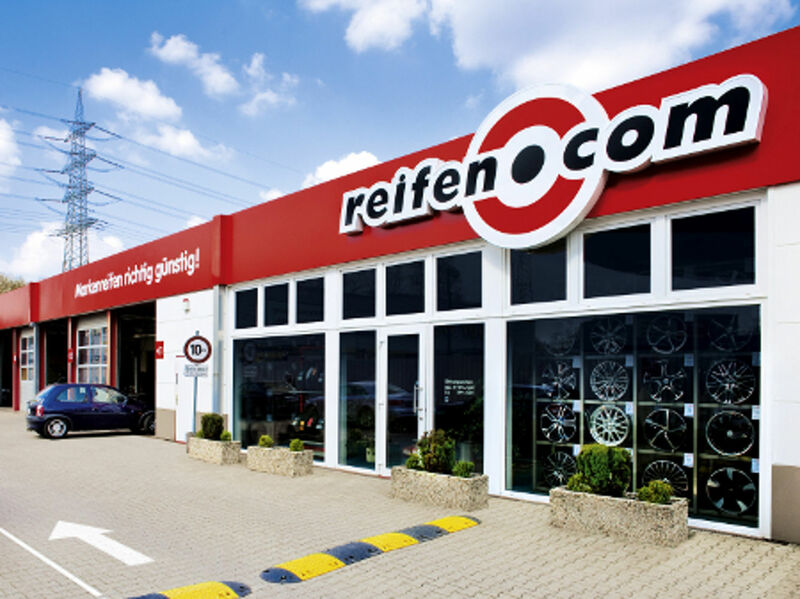 A complete general inspection is not carried out at our reifen.com branch. Of course next to the sale of winter tyres, summer tyres and fancy rims it is also possible to store wheels at our place. The area where our branch is situated is 1,890 square meters large – enough space to store your wheels safely and protected. Our tyre service in Essen is not only for passenger cars (up to max. 24 inch) but also motorcycle owners are welcomed heartedly. 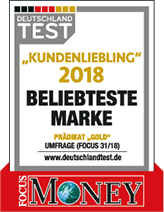 To increase the satisfaction of our motorcycle driving customers, we offer a motorcycle service at Gladbecker Straße for which we have installed a fitting place just for motorcycles. Of course we are also happy to mount the wheels onto your motorcycle (up to max. 21 inch). reifen.com in Essen can be reached easily by you. Gladbecker Straße in the district Altenessen is one of the transportation centres and is therefore easily to reach from the inner city as well as from outside. Coming from the inner city, you can directly drive onto Gladbecker Straße; alternatively you can drive to us via Bottroper Straße and Vogelheimer Straße. If you wish to get to us via public transportation, you can take the subway line U11 towards Gelsenkirchen or U17 towards Karlsplatz from Essen station and get out at the stop Kaiser-Wilhelm-Park. Via Schonnefeldstraße you can reach us within a few minutes. 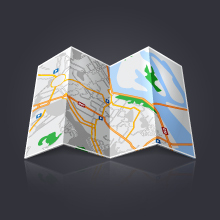 You can also reach us via the subway in Altenessen (S-Bahnhof) and Altenessen-Mitte (U-Bahnhof). The walking distance is shorter when you take the bus to the station Mehring or Feldmannshof (bus lines 170 as well as 162). Contact us today and make an appointment for a detailed consultation or tyre change. Of course you can also visit us without an appointment during the opening hours.